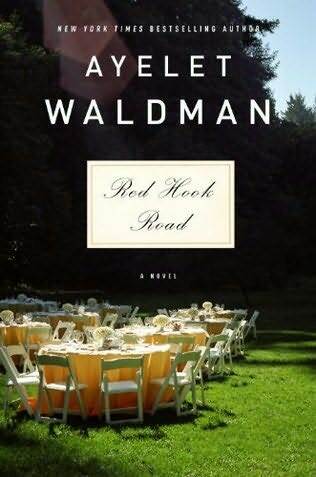 Ayelet Waldman has definitely found her calling in writing beautiful literature, with Red Hook Road being her latest and greatest novel to date! With the exception of Daughter's Keeper (which is on my bookshelf, waiting to be read -- I've been saving it to avoid running out of Waldman reading material! ), I have now read all of Waldman's books, and she is not an author to miss out on. Red Hook Road is not so much a novel of plot; but of the exquisite relationships that will form between friends, lovers, and family throughout years regardless if those relationships are loving or hateful, or in-between. The value of Red Hook Road to me is having had gained the knowledge and hope that throughout a lifetime in which many people come and go, bonds will be forged with certain individuals that simply make life grand, although it may be tumultuous at times. On a personal level having been divorced and estanged from family myself, Red Hook Road taught me a lot about the value of relationships and gave me hope -- I was hooked from page one. Anyway, enough about the self-help tirade and more about Red Hook Road ! The novel's premise surrounds two families that have been joined by marriage, then suddenly experience and suffer through a tragedy together. As if a horrible accident isn't a bad enough scenario, the fact that the families resent each other and don't get along is what makes Red Hook Road a captivating read. Waldman's prelude is painted so vividly you'll be able to smell the wedding flowers and picture all the guests as if you are attending the ceremony yourself. After all, aren't all weddings the same, just like this one? Waldman also presents a subtle sense of impending doom although you won't be able to quite put your finger on it until the tragedy occurs. This glimpse into reality during your lowest hours is what makes Red Hook Road impacting to the soul and easy to relate to. Another component I love in Red Hook Road is Ayelet Waldman 's ability to time everything perfectly, in the sense of presenting certain aspects of the story. For example, after the prelude we are treated to the history of one of the participating families dating back to 1879. Had we not already been gripped and left in awe of the prelude, this piece may have been boring and lulling, but not in this case. The entirety of Red Hook Road is supremely enjoyable and amazing. I am so happy that Ayelet Waldman is taking this awesome direction within the literature genre. I had a love/hate relationship with her cozy mystery Mommy-Track mysteries, many of which are also reviewed on this website and not as well-written as Red Hook Road and Love and Other Impossible Pursuits (2006), which I also highly recommend. What an amazing experience the latter two novels have been! In the meantime, I'll be on the lookout for Ayelet Waldman 's future work.